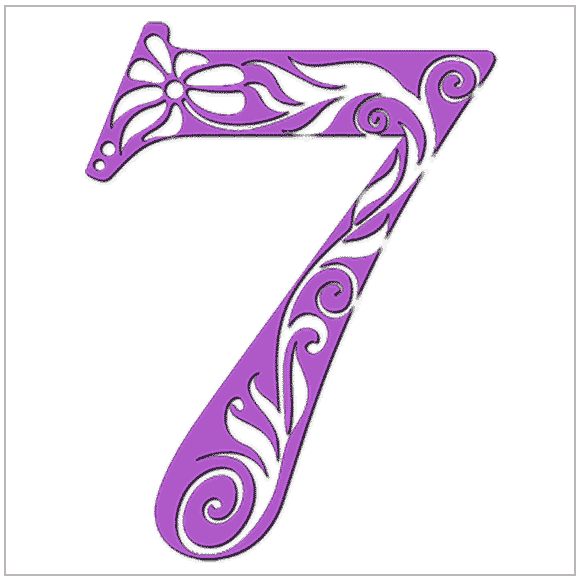 If you have a 7 Life Path you are the least likely of all numbers to get married and stay married. There may not be a shortage of relationships, but your critical nature and your lofty dreams and expectations are difficult for anyone to live up to. This is not as bad as it sounds, as your ability to enjoy life does not depend on a romantic, long-term relationship as much as it does for other numbers. Many 7s form life-long relationships but they usually tie the knot later in life, and not always because they want a family. Your needs require someone who challenges you intellectually, has a certain amount of maturity and insight, and allows you enough space and quiet time to indulge in contemplation and daydreaming – essentials for the 7. Among the numbers most suitable to you are the witty, sunny, and creative 3, as well as the always surprising and intellectually sharp 5 because both numbers challenge you in ways no other numbers do. You enjoy the company of a 3 because their imagination expands your otherwise limited, rational thinking. You like the 5 simply because you never know what will come next. You may not care much for the 2 because you see them as superficial and sentimental, while the 1 is just too domineering. You perceive the 8 as overly materialistic, an absolute no-no in your world of spiritual and philosophical values. The 9 is too aloof - you may be somewhat introverted, but you are not distant or remote - in fact, once you do make a connection, you seek depth and openness not secrecy and separation. Click here for this month's relationship compatibility forecast for you and a partner. The World Numerology App has three specific Relationship readings you can make between you and as many people as you like. The in-depth readings take many numbers into consideration to more accurately view your Relationship Compatibility. They include the Monthly and Yearly Forecasts for all your relationships. Changing from one cycle to the next can bring critical transformations. Find out when yours change and the effect they have.